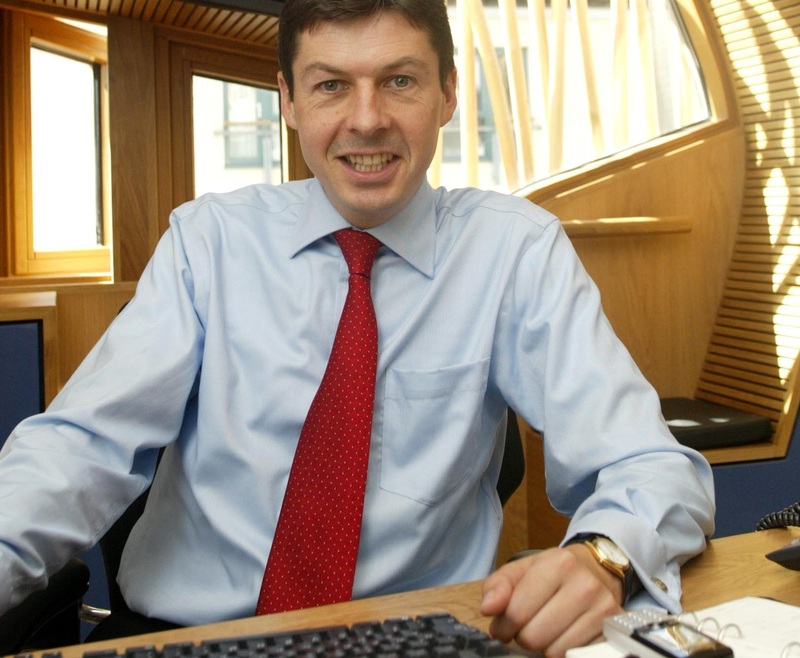 The Scottish Parliament debated the new Children and Young People Bill this week, but Labour MSP Ken Macintosh asks, are we Getting It Right For Every Child? Does your child need a “named person” in order to promote, support or safeguard their wellbeing? The Scottish Government is proposing just such a move, appointing a named person for every person under 18 in Scotland. We debated the subject in Parliament this week and the Minister argued that such a person, typically a health visitor or a teacher, would help all families access services, information and support. Most of the children’s organisations such as Barnardo’s back such a move saying that taking a universal approach to providing children with a point of contact is in keeping with the GIRFEC principles, child protection based on Getting It Right For Every Child. Now, I do not have a knee jerk opposition to state intervention, but I find myself questioning the need and the practicality of this measure. I am certainly not going to lay claim to being a perfect parent, but is this really the best use of tax payers’ money and teachers’ time? My main worry is that despite the best of intentions the whole exercise could end up diverting scarce resources away from the children most in need. There are few people across Scotland who fail to recognise the need to protect and help our most vulnerable children. The national news is filled too often by stories of neglect and abuse and the all too horrific consequences with children dying at the hands of their own parents. At the same time, it is difficult to see how appointing a named person to look after for example each of my six children, will do anything to improve child protection or to prevent such deaths occurring again. I simply fail to follow the argument that by giving a health visitor or a teacher responsibility for let’s say 30 well brought up children, or even dare I say, not particularly well brought up children, that will help them recognise the one that needs support and intervention. The danger is that time spent filling in forms for 30 children who will never need any intervention is time that could be better spent on those children in desperate need of help. Resources diverted to children who are thriving, loved and nurtured are resources not spent on the neglected and vulnerable. As far as I am aware, teachers already have a professional duty and an ethical and legal obligation to pick up on kids who are turning up late for school, badly fed, poorly dressed or otherwise showing signs of lack of care. The same duty applies even more clearly to health visitors. How does seeking assurance from those same teachers that the vast majority of children in their care do not need help in any way assist them in identifying those in danger of slipping through the net? Is there not an obvious risk of creating an administratively cumbersome and bureaucratically complex system but with no additional practical benefit? Will there be a file for every child? Who will keep that file? What happens when staff move on as they often do? At the very least we need to clarify what this additional duty as a named person will mean. Now I would put my concerns to one side if I thought the named person approach would save one life or pick up on one example of child cruelty or neglect that would otherwise go undetected or unrecognised. But if we look at all the recent cases of child abuse, as far as I can recall every subsequent inquiry concluded that where the state failed to intervene early enough it was not because no-one knew about the risk, it was because of the failure to share information. One of the main recommendations as a result has been to identify a lead professional in those cases where risk has been identified and public agencies have to work together. If every child is to have a named person, is there not a distinct possibility that we will create masses of information telling us nothing more than most children are fine, whilst potentially confusing lines of responsibility between the named person and the lead professional? The children’s charities have argued that the measures are in line with the GIRFEC principles, but as I recall, GIRFEC was originally based on a report called “It’s everyone’s job to make sure I’m alright”, not ‘It’s one named person’s job to make sure I’m alright’. If we are to go down the named person route, the solution surely must lie in the role, function and the resources we give to health visitors as child health and welfare is already their raison d’etre. What worries me here is that in recent years, Scottish Government practice has run counter to this very policy. Health visitors used to visit every mother and child regularly, but making contact with lots of healthy mums and toddlers was regarded as a waste of scarce resources and so a more targeted approach was taken. This has left us with genuine problems; that of mothers with post natal depression going undetected and of some children seeing no one virtually from leaving hospital until compulsory school age. I believe health visitors will be expected to make contact with families at 27-30 months as part of a new toddler development visit which is a good thing, but again apparently without any additional funding. I was at least reassured to hear that strong concerns were raised at the Parliament’s Finance Committee about placing new duties on various health and educational professionals with insufficient additional funding to help them carry out those duties. I appreciate that the intention may be simply to formalise the role of health visitors or teachers who already have contact with our children and who provide a welcome service, but the fact is that this Bill proposes giving these named persons legal duties. Yes there are some desperately inadequate parents in our world but that should not blind us to the fact that the vast majority love and care for their children. I hope discussion and debate around the Bill will provide clarity on this matter but I fully understand why many families will be downright offended by the notion of someone assuming any kind of alternative parenting role, of setting themselves up in loco parentis or potentially judging parents in some way. The evidence does not suggest that the state makes a better parent than most families whatever our faults. There are already many dedicated health and education staff who sensitively inquire after the children in their care and who expend most energy on those in greatest need. Our focus should be on how to make it easier for them to carry out those duties. There will be others unfortunately, whose response will not be to show increased concern for the children in their care, but to cover their own backs by making sure every child allocated to them has a form filled in proving that they fulfilled their legal duties. In other words, at one extreme this Bill could be a charter for interfering busybodies and at the other, for risk averse jobsworths. I have no doubt that this is not the intention of the Bill and I sincerely hope that my fears are entirely misplaced. It is my understanding that the GIRFEC pilots have been viewed as successful and that the Education Committee is taking evidence on these very matters over the next few weeks and months. I want the Children’s Bill to improve the lives of all young people in Scotland and like most parents, I want to feel confident we have a system that identifies potential problems early and intervenes effectively. I do not think we should reject this approach until we hear the evidence but we should also be seriously questioning whether a named person would indeed be getting it right for every child. This entry was posted on September 27, 2013, 8:00 am and is filed under Holyrood. You can follow any responses to this entry through RSS 2.0. Both comments and pings are currently closed. Ken is absolutely correct to cite “It’s everyone’s job to make sure I’m alright”, as encapsulating the ethos of GIRFEC but the Named Person does not replace this and has not done so in e.g. Highland where the concept developed, mainly arising from the experiences and wishes of parents. Rather it designates someone who already has a duty of care towards a child (i.e.health visitor or teacher) as a single point of contact for children, parents and carers in their interaction with state provided services and further support where required or desired. The experience in Highland where the named person concept has been in place for sometime has been to reduce rather than increase the ‘white noise’ Ken is concerned about as well as to upstream resourcing to early interventions which can reduce the time-consuming and expensive ‘red button’ interventions which really do divert scarce resources and which sometimes turn out to be unnecessary. There is much to criticise in the Children & Young People Bill and Ken raises very fair points regarding resourcing of health visitors in particular. However, whilst raising these same concerns the RCN is clear that this is not in itself a reason to drop this particular provision. I have no doubt Ken’s concerns are absolutely genuine and especially given some of the misinformation in sections of the press during the summer around this, understandable but it is a bit frustrating that an element essentially formalising a system already in place in parts of Scotland is the one which appears to be generating the most debate, particularly when there is so much more in this Bill needing to be sorted.